Get the latest research and trends on serious games, spaced repetition and the science of remembering. 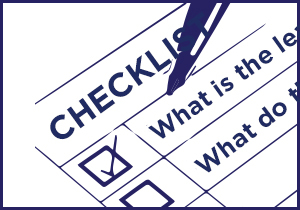 In addition to our white papers, you will also find short guides and helpful job aids. Boost your game design and instructional design expertise in our webinars. Take advantage of the Q&A with our experts in a live webinar, or view our recorded webinars on demand. Our hands-on workshops will help you increase your skills and knowledge. Sharon Boller partners with Dr. Karl Kapp to give workshops on game design at industry conferences throughout the US. We turn conferences into launch events for our Knowledge Guru releases. You will find us speaking and exhibiting at the best professional development events for learning professionals. 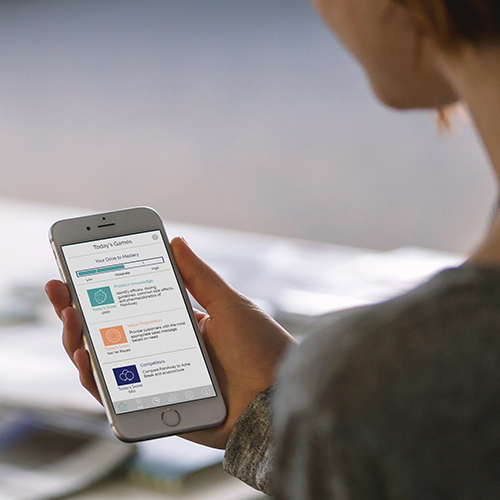 Are you a current Knowledge Guru customer looking for tutorials and user support? You can learn a lot from looking at case studies, and that’s what we did.Whether you are new to serious games and gamification or are looking to make your next one more successful, consider these seven tips for a successful implementation. This white paper by BLP President and Knowledge Guru creator Sharon Boller is full of research, case studies, and advice for learning professionals ready to reduce the amount of information learners forget from all types of training. In it, Sharon presents four strategies to increase what employees learn, and four more strategies to increase what they remember from training. Based on serious research done on serious games, we’ve created a concise guide for mapping the “fun” in games to the essential elements needed for learning to happen. 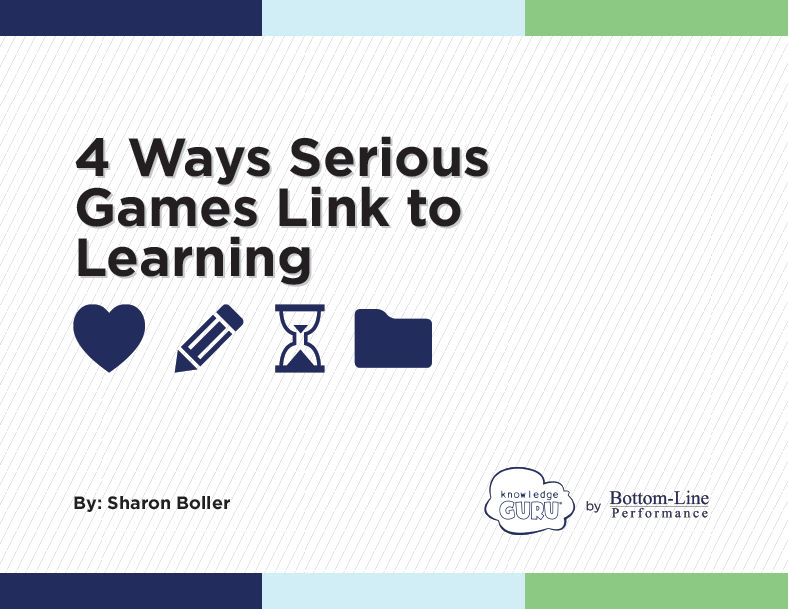 If you’re thinking about adding a game to your learning mix, read this first. 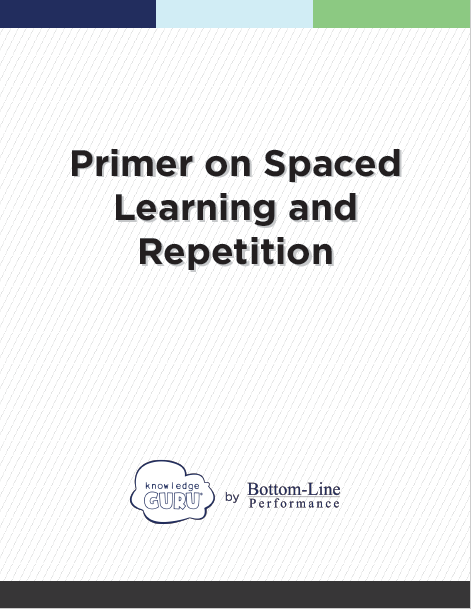 We’ve put together a free guide highlighting the research-based approaches of spaced repetition and immediate feedback. Research has repeatedly shown that using these techniques can increase retention of new knowledge and skills. By basing your own learning designs off of these principles or using a solution that already has the learning principles built in, you can greatly increase what your learners will remember. 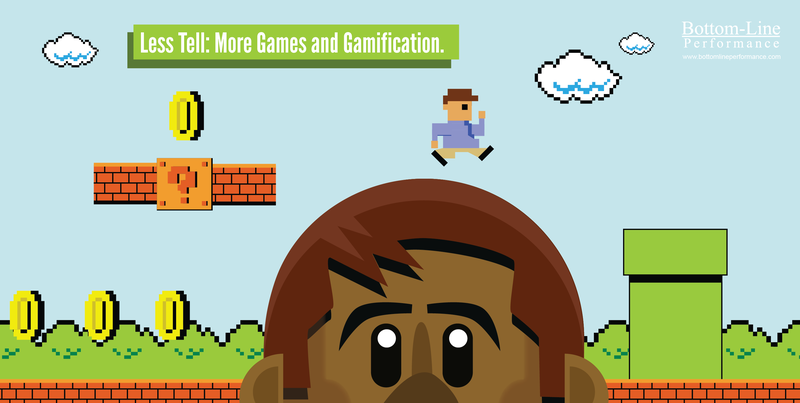 Not sure how games can link to real learning outcomes? 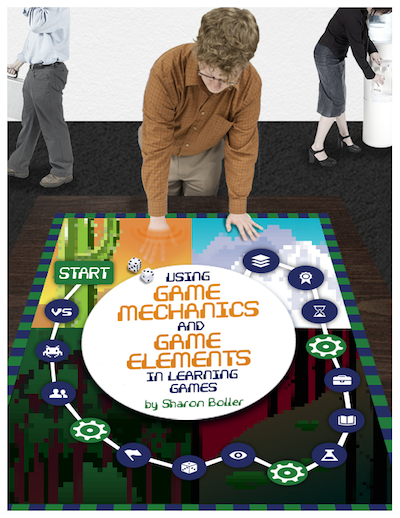 In this white paper, Sharon Boller explains a variety of game elements and game mechanics. It’s a must-read before attempting to create a serious game of your own. Before you design a game of your own, it is essential to spend time evaluating other games by playing them. 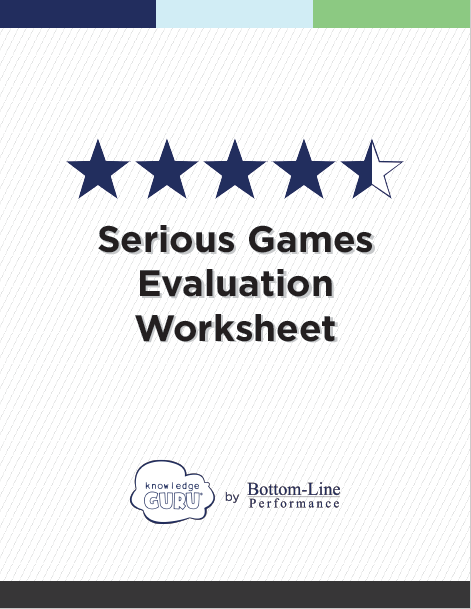 It must be a deliberate experience, and needs to be more than simply “for the fun of it.” This template will allow you to do your own game evaluations. It includes a quick sample analysis of Knowledge Guru as well as a blank sheet for you to copy and use as you evaluate many different games. In this webinar, Sharon Boller and Dr. Karl Kapp share tips and best practices from their new book, “Play to Learn: Everything You Need to Know About Designing Effective Learning Games.” They introduce nine steps to effective learning game design and take a detailed look at the three most critical and overlooked steps in the process. 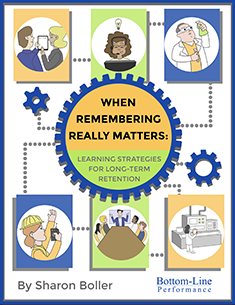 This session shares research on remembering — and forgetting — and identifies techniques that foster long-term retention. It then connects these techniques to games and explains how games can help form long-term memories and business results. 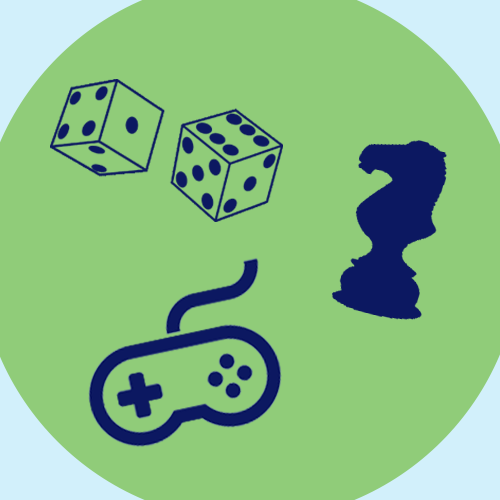 Sharon Boller and Steven Boller will share recent research on games and case studies that demonstrate how games can be used for learning. Serious Games + Smart Implementation = Win! This webinar explores how serious games can be linked to learning science to increase retention of product knowledge, policies, procedures, basic facts, and more. Then, it explores four case studies from organizations that successfully implemented a serious game that drove business results. 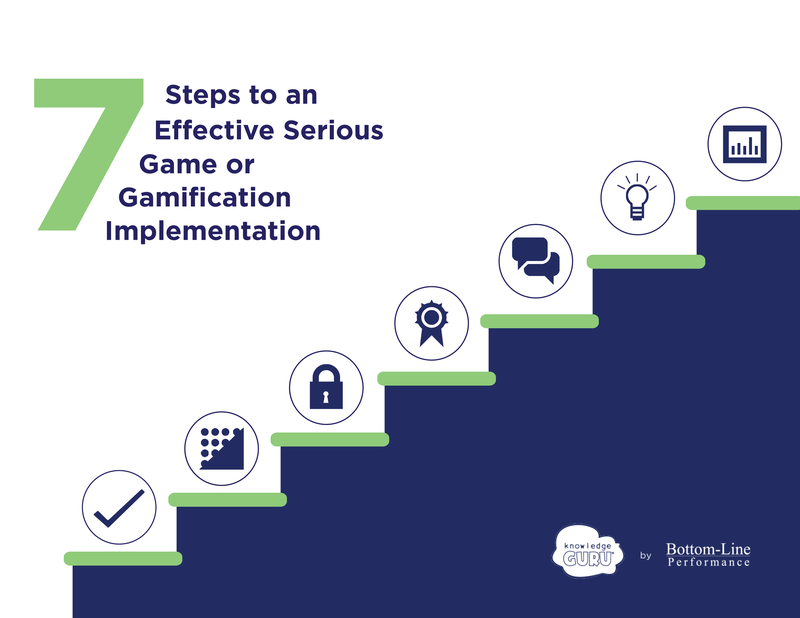 The commonalities from these “success stories” are used to demonstrate seven actionable implementation tips that help make games more effective for learning. May 19-22, 2019 | Washington D.C. Bottom-Line Performance will be exhibiting and presenting the session 360° of Separation – A New Angle on VR for Learning at the 2019 ATD International Conference and Expo. Details TBA.